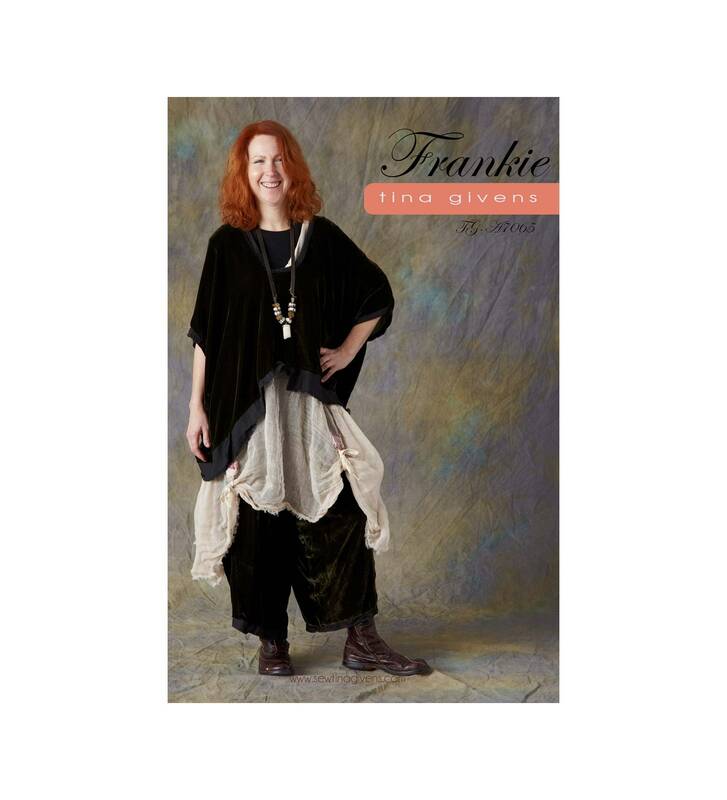 Frankie crop top and wide legged pants, gorgeous in velvet trimmed in linen. But also amazing in cotton, linen, silk! A perfect pattern for many outfits!. 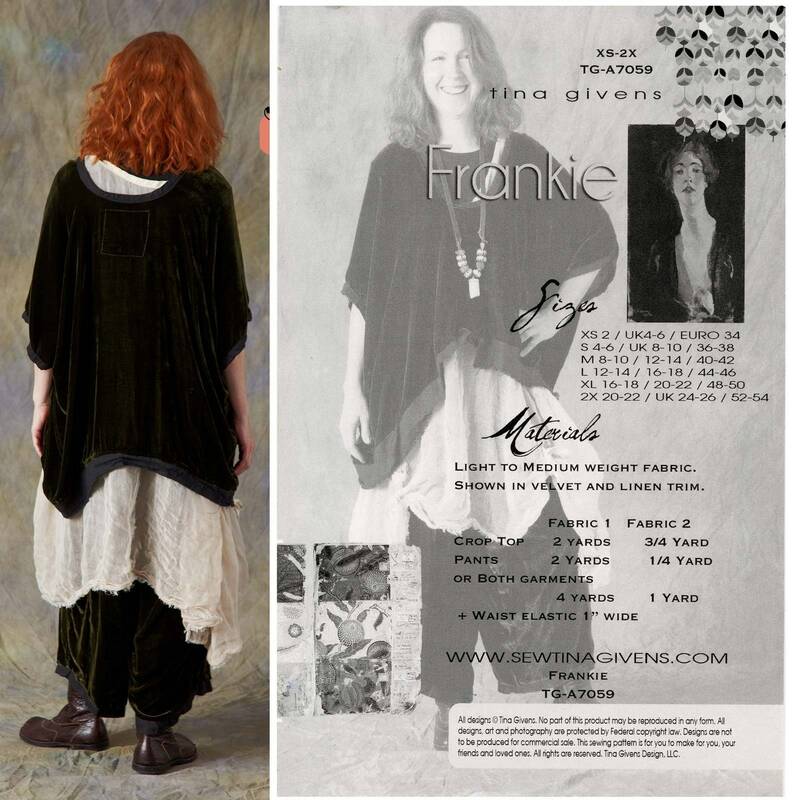 Cover image shows Jasmine slip which is available in Tina Givens pattern # 7012.